Golden Times: What was your SU about? Monika and Hania: Our Summer University was focused on exploring inner creativity, teaching how to think out of the box, improving imagination and art skills. Monika and Hania: During our SU we had 26 participants and 20 organizers. GT: What were the greatest thematic programme highlights of the SU? Monika and Hania: The thematic programme was well-prepared and focused on developing a wide range of skills. 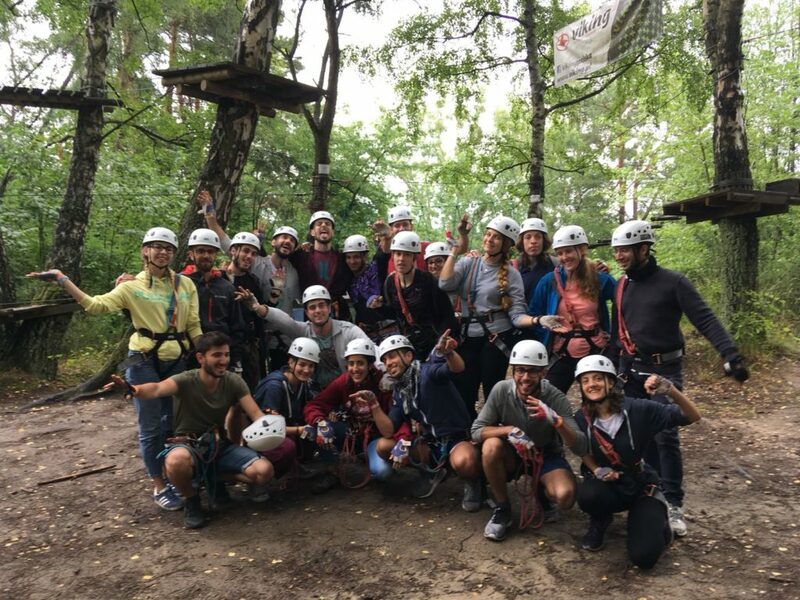 We would like to highlight here the teambuilding session, as well as improvisation and PR-related workshops, such as as photography, design, public speaking or social media. Monika and Hania: Our Summer University brought as lot of funny and exciting moments. Our participants enjoyed a lot our cooking workshops, where we were making dumplings. Also the theme parties “Polish Wedding” was a great experience, as it was modelled on the real wedding – with a bride and groom, typical food and music as well as the unveiling and capping ceremony. AEGEEans could see how this reception looks like in our country. Definitely the most exciting moment during every evening was the time of reading all the gossips from the gossip box! Monika and Hania: We had a group of great and positive participants, who were full of energy. We couldn’t have wished for better people on our SU. They were just amazing! GT: Sounds great! And how was your cooperation in the organizing team? Monika and Hania: The organizers were friendly and supportive. We’ve been working so hard for many months to make our SU successful. The cooperation between AEGEE-Gdańsk and AEGEE-Warszawa went well. 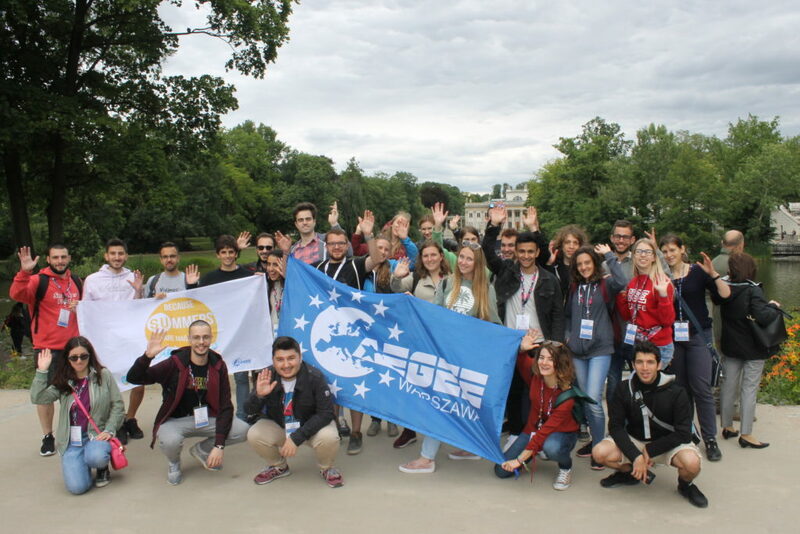 During the SU, there was a great atmosphere within the group and much AEGEE Spirit. We all became a bunch of really good friends and already miss this time and our participants a lot! GT: How was the romance factor of the SU? Where there many couples? Monika and Hania: Our SU flourished with many love affairs. We had seven couples in total. But if the event had lasted longer, there would have been probably a few couples more! In the end of the SU, some people got more courage to finally reveal their feelings to their summer crushes. We hope that all these nice relations will be developed and maintained. GT: Let’s hope so! What were the highlights from the gossip box? Monika and Hania: Every evening, in the gossip box, we had at least a few kissing challenges – they were always bringing a lot of emotions and laughter. GT: How successful was the SU overall? Monika and Hania: All the hard work and commitment that we put in preparing the SU paid off. With a clear conscience we can say that this SU was successful. We received a very positive feedback from our participants. They enjoyed their summertime in Poland a lot, which made us extremely happy and gave us a boost of new motivation and energy for future projects. Of course we had some problems but we went through it and now we have a lot of new friends and great memories. Monika and Hania: The Summer University is one of the best AEGEE experiences that we can have. It is a great project that we all should be proud of. We would like to say “thank you” to all the people, who made our SU possible and who became part of this amazing time we spent together. It wouldn’t have been possible without you. We love you so much! Best wishes to you!